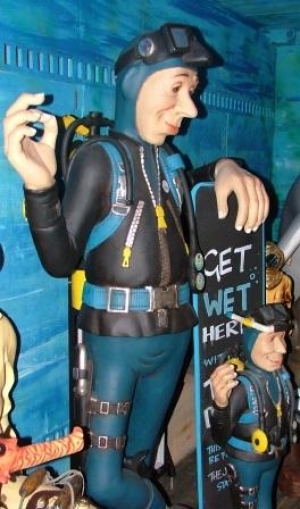 This Scuba Diver with Black-Board is a great way to advertise and get your scuba or dive related business noticed. 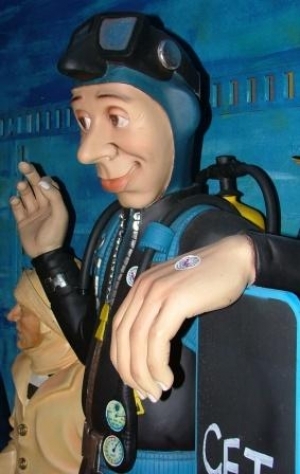 We have made this with humour in mind so that people can only but smile and look in his direction. 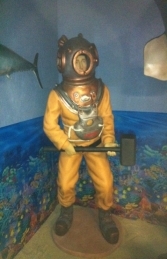 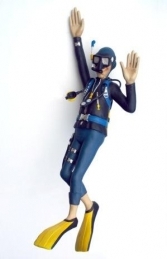 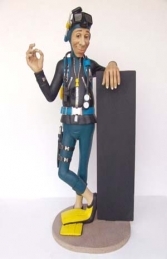 The details on all the equipment on this 6ft tall Funny Scuba Diver model, and on our 3ft model (JR DF), are excellent, he even has a diving knife strapped to his leg. This fantastic life-size diver model is the very best way to draw attention to your Scuba shop or to advertise your diving business. We have sold this super model all over the world, where it has been used in scuba shops and diving businesses, pubs, restaurants and theme-parks.